I have been playing guitar for over 25 years. I toured in the late 90s and was a guitar tech for the band Creed for a brief time period. I am currently an endorsed artist with Little Walter Tube Amps and Ernie Ball. I have been teaching guitar privately for over 16 years. Former students have gone on to Berklee, Belmont, MTSU and countless other colleges to establish careers in guitar/music. I have also been blessed to teach many Praise and Worship leaders in many churches, as well as those that play for pure enjoyment. Whether you’re 5 or 85 (yes, I have taught both), it’s never too late to learn to play! I offer lessons in guitar, bass, mandolin, uke, and banjo!! Message me for details/time slot availability. I have been teaching drum students for 15 years. I have taught students with no prior drumming skills, to students who are preparing for School band and to those wanting to learn how to play a drum kit. I have taught students who favor country to those who love rock and others who prefer praise and worship. All in all my passion for drumming drives me to help others in their creativity in drumming. Give us a call to schedule your lesson! Steve Jewell is the guitarist for the Blues/Rock band Otis. Steve has been teaching guitar for over 5 years and has been playing guitar for over 20 years. Otis is a International Touring and Recording group signed to Cleopatra Records based out of Los Angeles, California and has toured over 6 different countries. 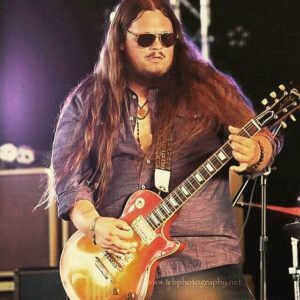 Otis has opened for well known acts such as ZZ Top, The Kentucky Headhunters, Black Stone Cherry, Blackberry Smoke, Pat Travers, and various members of Govt Mule and the Allman Brothers Band with their side bands and more. 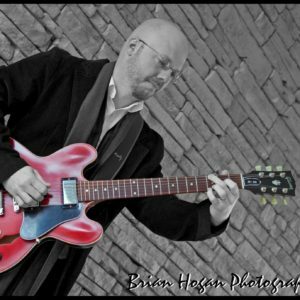 Steve’s approach to teaching guitar is from his personal playing experience from being self taught and from being taught in grade school and college. That way students can learn from both perspectives to help them become a better overall guitarist. 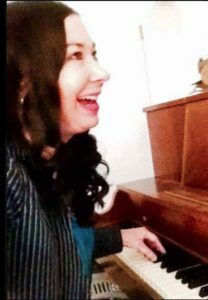 I have been teaching piano for approximately 16 years, and in 2009 I became certified as a private piano teacher by the National Music Teachers Association. My students work on many skills, including sight-reading, ear-training, chord charts, improvisation, performance, different genres, as well as participating in group lessons, recitals, choirs, and competitions. I play and sing for various worship services in the community, weddings and other events, as well as perform with bands. Along with music, I have a passion for writing and in 2015 wrote and published my first book “Finally Spoken: Words of Hope.” You can reach me at StudioOfMistyLButler@gmail.com.